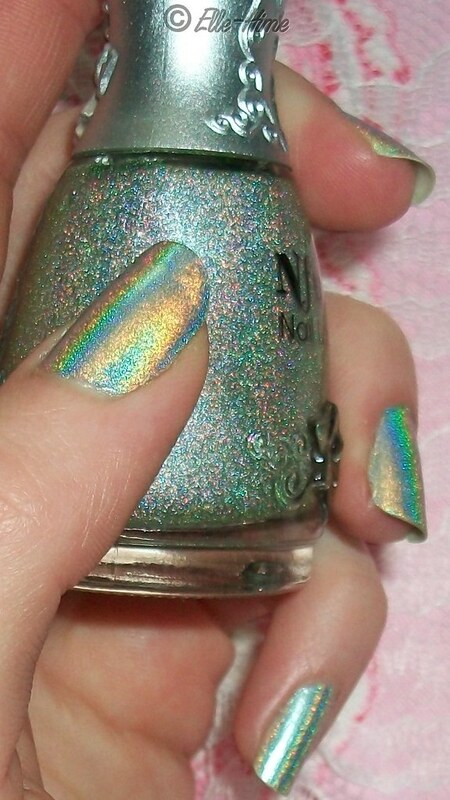 When my latest Nfu-Oh order (through FabulouStreet.com) showed up this month I just had to try Holographic Polish 66 out right away. 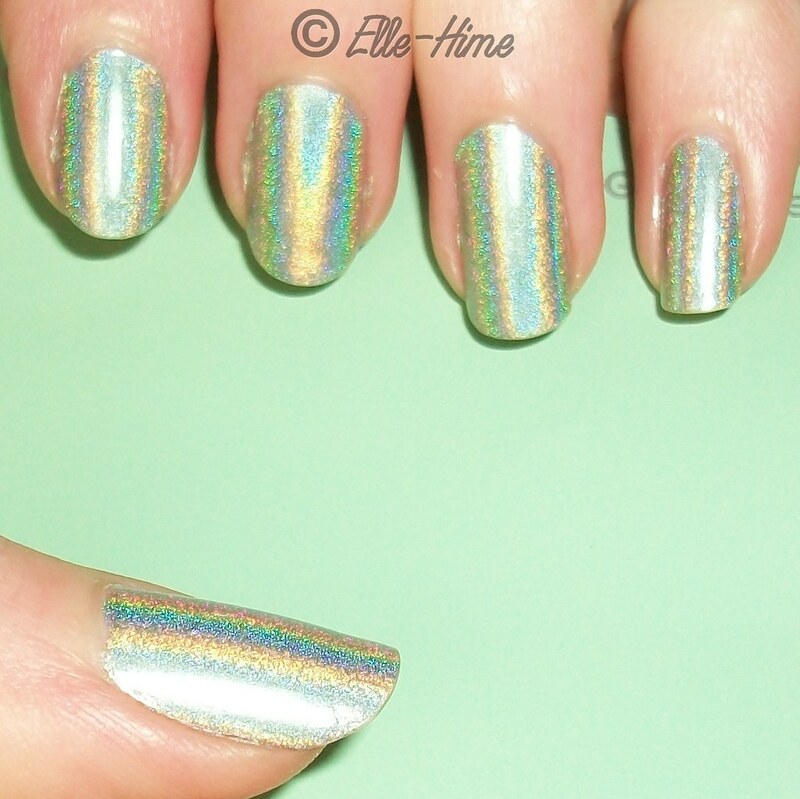 I can see why it is the favorite of the group - it's so holo you can't help grinning at it. My nails were spewing (double!) rainbows with this stuff on and it was a dream to work with. I only needed 1 coat - yes, one coat! - for opacity and full prismatic awesomeness. Dried in no time and even wore well with no chips and very minor tip wear. I didn't use a top coat. Yep, these photos are before my tragic nail breakage. How scary would it be if they grew that fast? I'm so, so happy to own this polish. 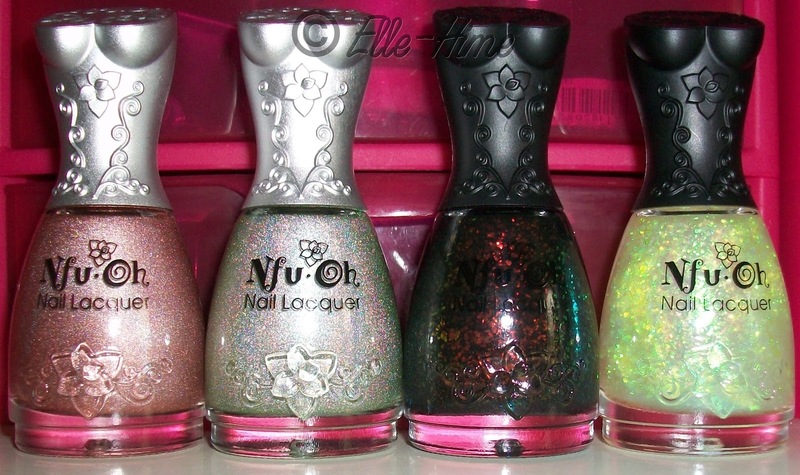 I'm also happy to own the other Nfu-Oh beauties I picked up. Here are numbers 62 (another Holographic), 66, 60, and 39. Yay, flakies! The dark #60 looks deep and mysterious in the bottle. 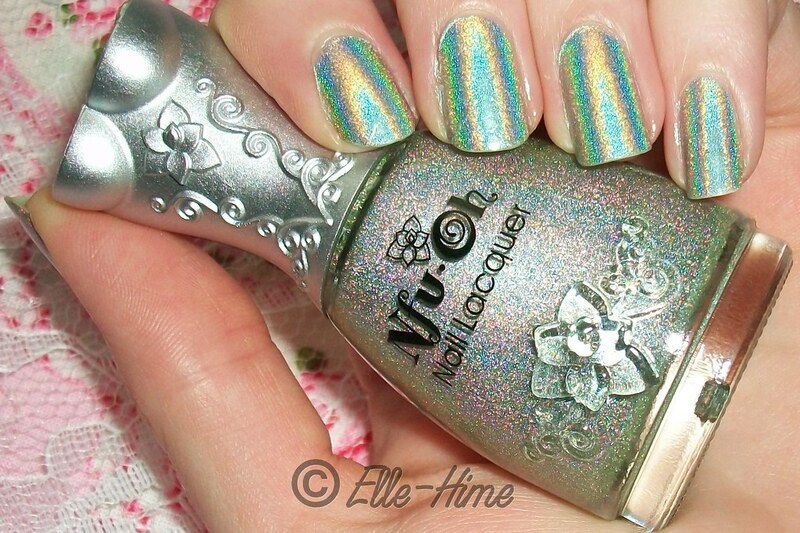 Nfu-Oh #39 is more glowly than I can convey through your screen. It is a bottle of Firefly Bums! I capitalized that because that is the first thing I told my boyfriend it reminded me of. He helped unpack these and agreed wholeheartedly. So from now on #39 is Firefly Bums to me. omg this is so beautiful!!!!!!!!! !